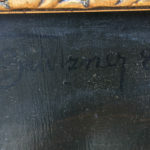 Description: Original Eduard Theodor Ritter von Grützner (Grutzner) (1846-1925) oil on wood panel. 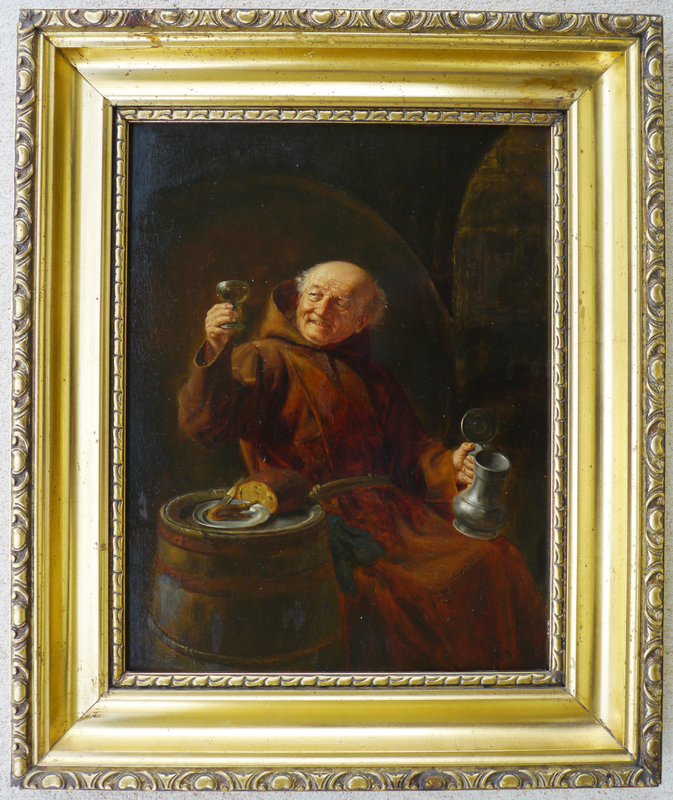 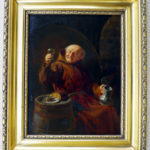 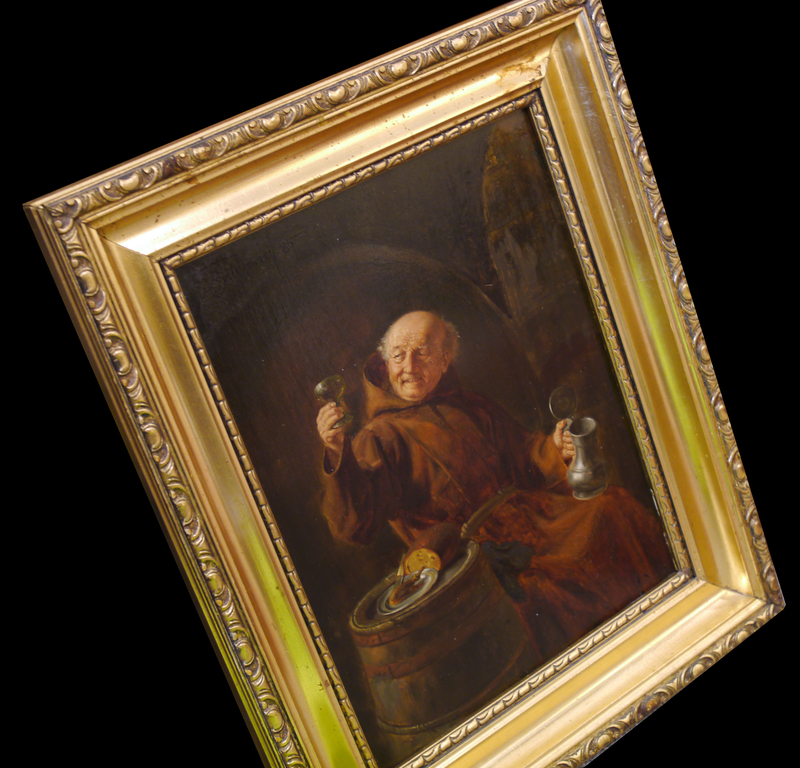 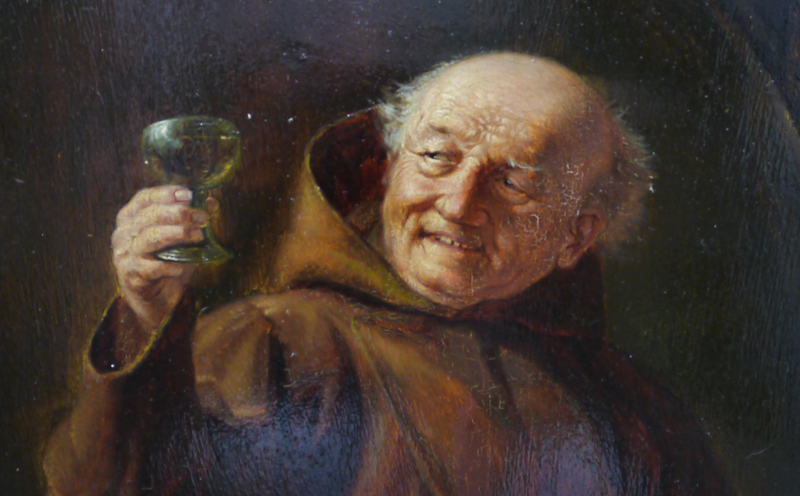 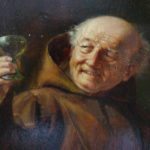 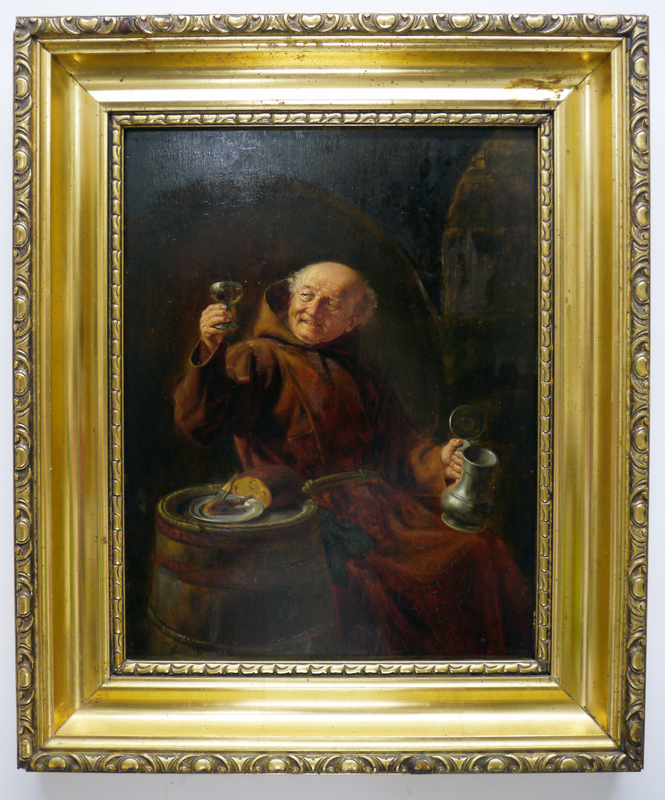 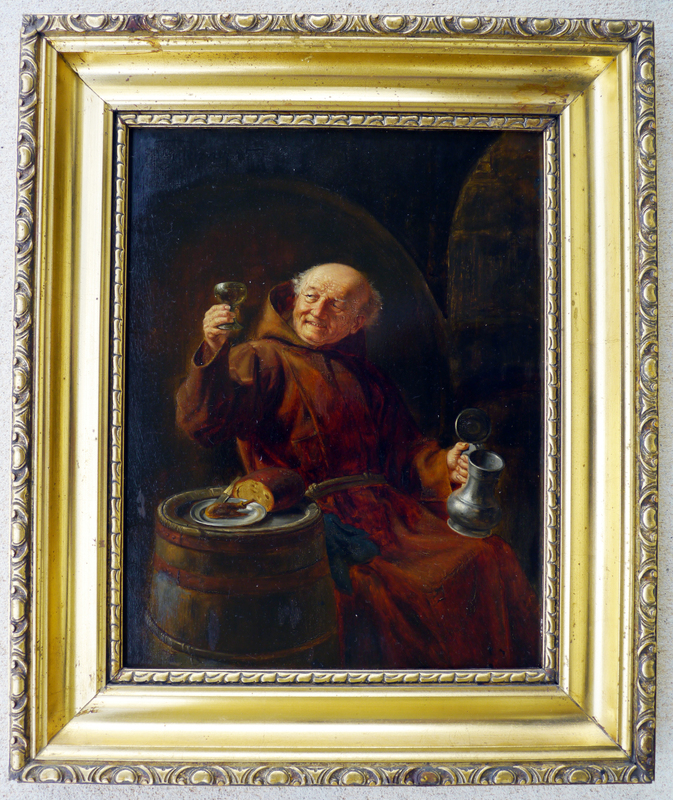 Wonderful painting of a smiling monk sitting beside a barrel in a cellar, holding a glass in one hand and a stein in the other. 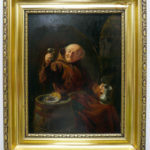 A plate of bread and chicken sit atop the barrel. 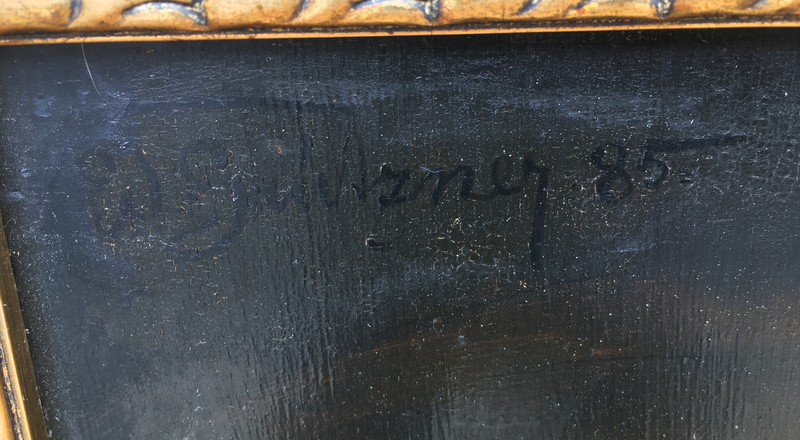 Some minor inpainting present, but otherwise in very nice condition. 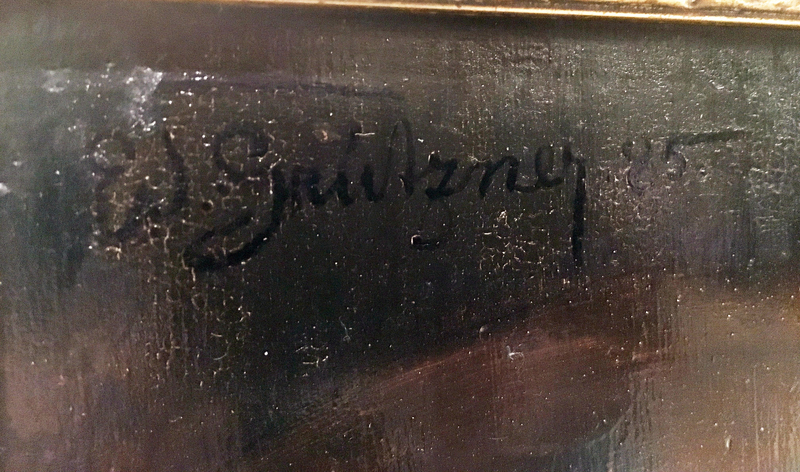 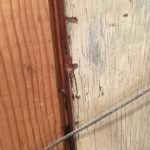 Signed and dated 1885 upper left corner. 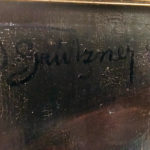 Found on pages 100 and 248 of Laszlo Balogh Catalogue raisonné of Grutzner’s work. 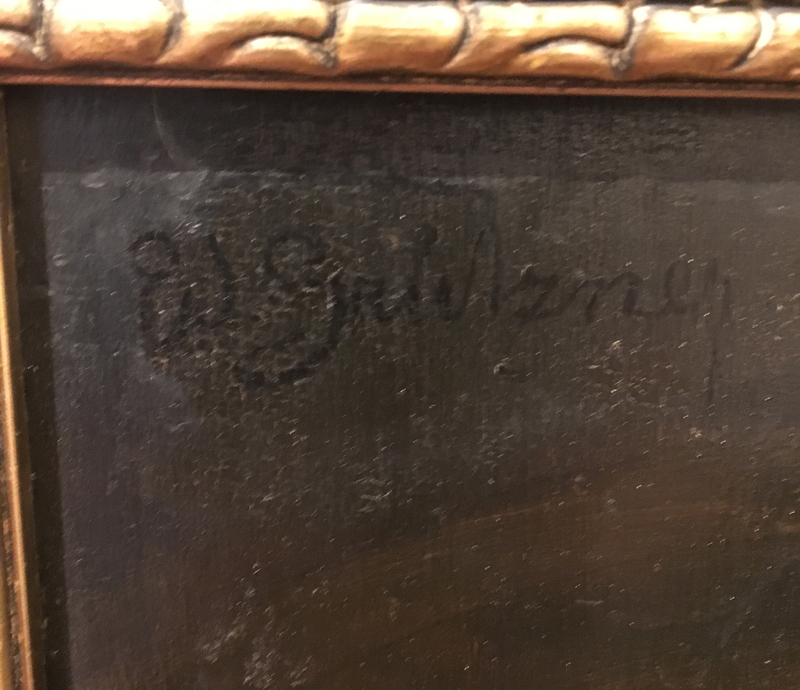 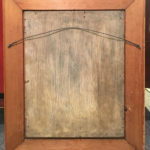 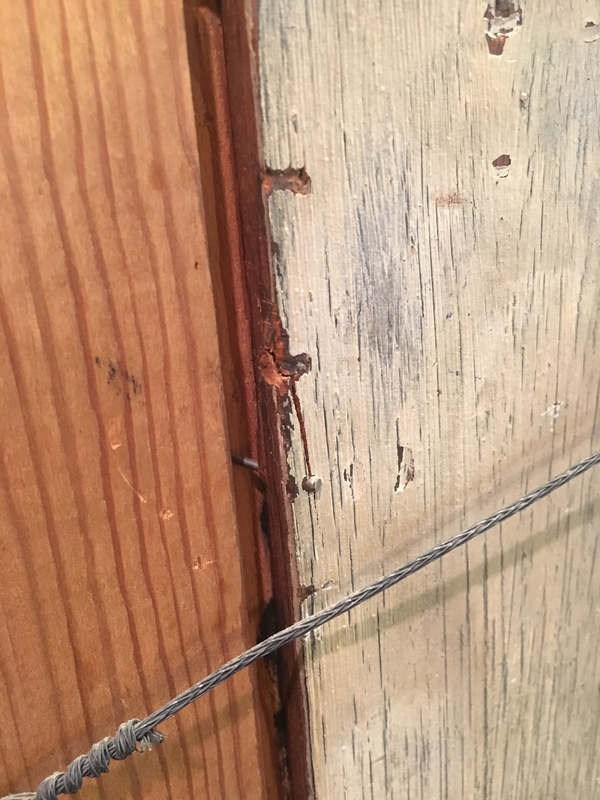 *Frame is included with this item, but the condition of the frame is NOT GUARANTEED. 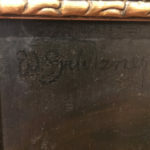 We do not sell frames, we sell artwork. 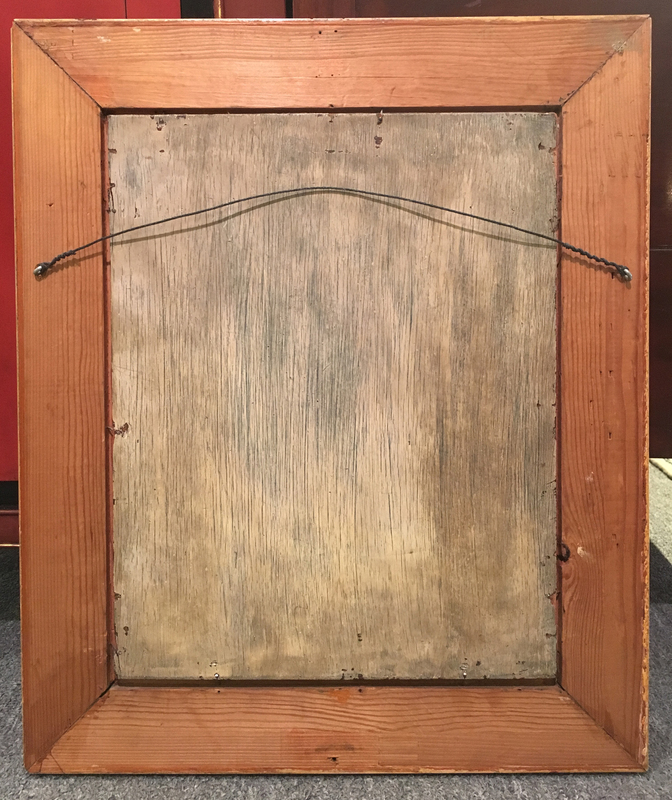 Consider the frame a plus.